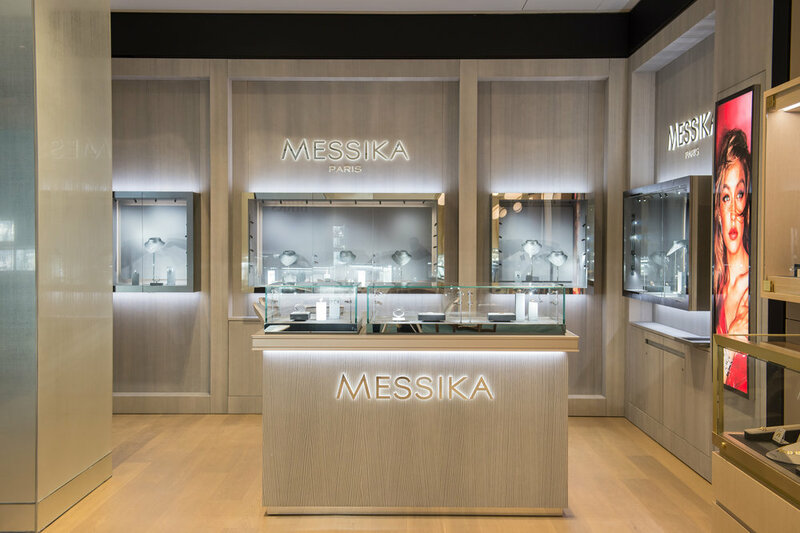 Iconic Montreal-based jewellery retailer Maison Birks has unveiled an impressive updated flagship store at the Manulife Centre on Toronto’s famed Mink Mile, which is decidedly more informal and contemporary than previously. The new space features some of the world’s leading luxury brands with an open design that is intended to attract a wider age demographic, and is part of the exciting Bloor-Yorkville neighbourhood transformation. It’s the second renovated flagship for the Birks chain, following last year’s overhaul of the Montreal flagship. Whereas the Montreal store update involved preserving heritage elements in a historical building, the renovated Toronto flagship is modern inside and out. 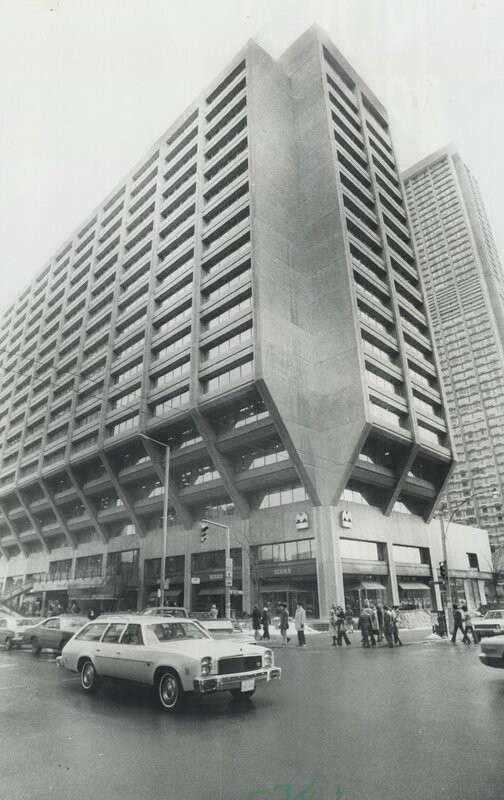 The Manulife Centre Birks was relocated to the corner of Bloor Street West and Balmuto Street for a couple of years while its space at that Bay Street corner was completely renovated. The former two-level Birks flagship was reduced to one street-level retail space that spans about 9,000 square feet with expansive frontage on both Bloor Street West and Bay Street. The updated store’s design is decidedly more open-concept than the previous store, which featured heavy wood millwork used in many Birks stores that were designed in the 1990’s. The updated flagship design is sleek in an open concept with ample natural light with area dedicated to brands as well as shoppers seeking out specific categories. 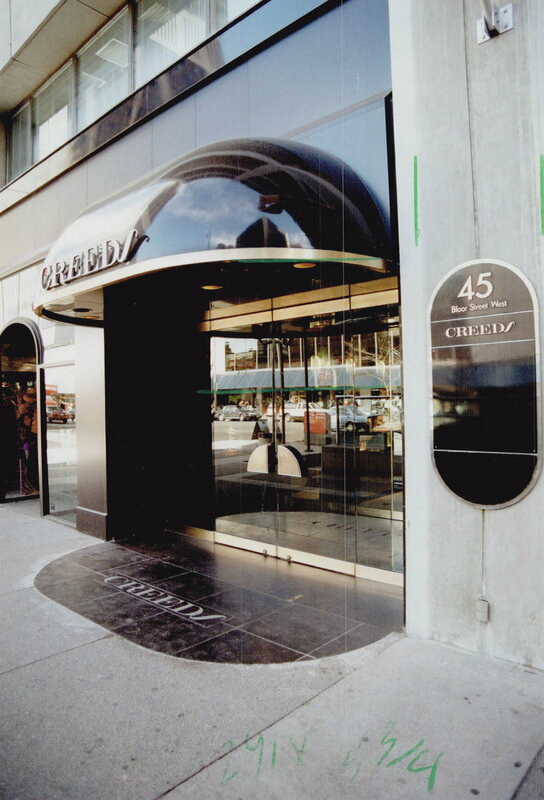 Included, as well, is a 1,200 square foot franchised Van Cleef & Arpels boutique that boasts its own street-facing entrance onto Bloor Street West, as well as from within the Birks store. Birks CEO Jean-Christophe Bedos explained how Birks’ Manulife Centre store design is meant to be attractive to a younger demographic that may shop with friends and interact with other shoppers. A large ‘bridal bar’ area at the back of the store features a curved open concept area where customers can view ring styles in an environment that is more informal than in the previous store. It’s part of an effort to reach the Millennial market. “Millennials are shopping differently” said Mr. Bedos. “Being that (wedding) shopping is a very special moment, we used to have separate rooms. With the new open format, there is greater engagement between couples shopping at the same time, providing the opportunity to compare and socialize,” he said. The Montreal flagship store unveiled a similar open-concept design when renovations were completed in June of 2018. The ‘informal/open concept’ design was tested in Birks’ Yorkdale Shopping Centre store in Toronto, and we reported on its opening in the fall of 2016. One of the ideas with the Yorkdale prototype was that millennial females would bring their friends to look at rings and with that in mind, the open-concept bridal bar concept was launched with room for small groups to gather. It proved so successful that the concept is now being rolled-out into other Birks locations. As with the updated Montreal flagship, the Bloor Street Birks features a pop-up area within the store referred to as the ‘Labo’. While the Montreal pop-up area is located at the centre of the store, Mr. Bedos explained that the new Toronto flagship has a similar area at the front of the store with visibility both from Bloor Street West as well as from Bay Street. 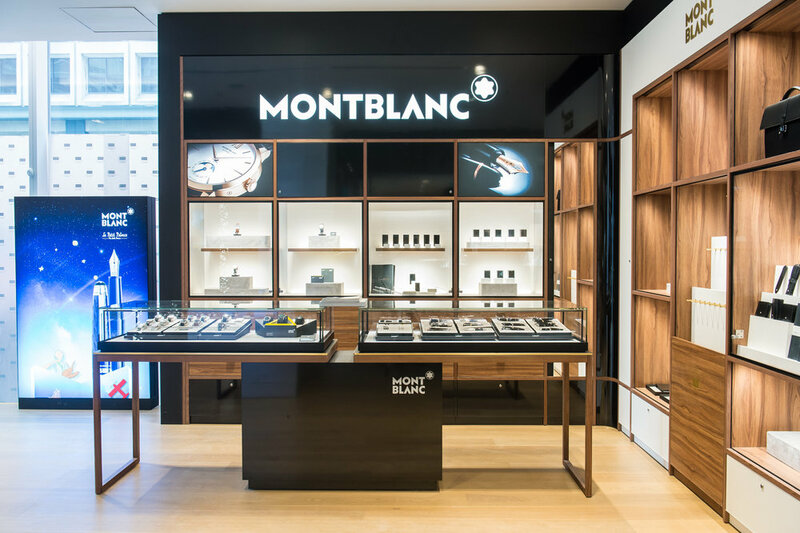 The Montreal pop-up area recently housed temporary activations for brands such as Graff Diamonds, which Birks brought to the Canadian market last fall. The Bloor Street Birks pop-up area includes a large video screen that can be used to promote happenings in the store, including the Labo pop-up area located immediately to the right of the Bloor Street entrance. Product launches and events will be visible from the street through the store’s floor-to-ceiling glass windows, showcasing the space to the thousands of pedestrians and vehicles that pass by daily. When nearby construction hoarding comes down this spring, the store will be even more sun-flooded, according to employees we spoke with in the store last week. A new lounge area in the store includes library bookshelves and a service area with an espresso machine and sofa seating area. 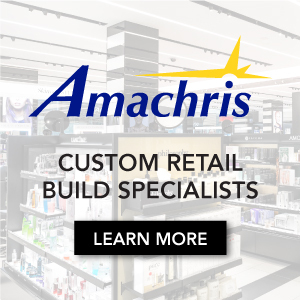 Mr. Bedos explained that the idea is to get customers to relax and enjoy the store’s beautiful selection of brand-related books dedicated to watch and beauty brands. The open service area is intentional as opposed to an area hidden in the back of the store. The lounge area also provides family members the opportunity to relax while another shops. It’s part of an effort to make the brick-and-mortar environment more experiential, at a time when online shopping is growing faster than sales in physical storefronts. Birks’ updated stores are intended to become gathering places to view some of the world’s leading jewellery and timepiece brands. While the store lacks ‘locked rooms’ found in some high-end retailers, several ‘private desk’ areas are available for customers to view some of the brands on offer. 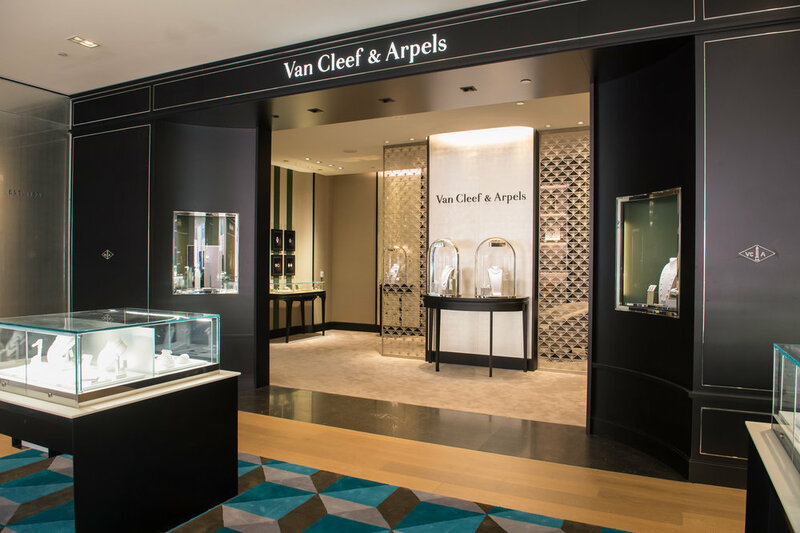 A collection of shop-in-stores showcase individual luxury brands and unlike the Van Cleef & Arpels boutique connected to the store, other brands are in the open and visible throughout the space with a collection of branded wall areas. “We tried to make it as open as possible to create flow and energy in the space”, said Mr. Bedos. Included in the new space are shop-in-stores for brands such as Cartier, Chaumet, Panerai, Messika, Montblanc, Roberto Coin and TAG Heuer. Pricey watch brand Panerai has limited distribution in the Canadian market, with only the Bloor Street Birks store and Birks-owned Brinkhaus in Calgary carrying Panerai in the chain. Birks’ Yorkdale store in Toronto carried Panerai before parent company Richemont opened a standalone Panerai boutique at Yorkdale, which was followed by a standalone Panerai boutique opening on Alberni Street in Vancouver. Italian jewellery brand Vhernier is carried at the Bloor Street Birks flagship, which is the only point-of-sale for the Vhernier brand in Canada. The Birks chain has several exclusive luxury brands in its stores including jewellery brand Chaumet, which was introduced into Birks’ Montreal, Toronto, Vancouver and Calgary stores for the first time last year. 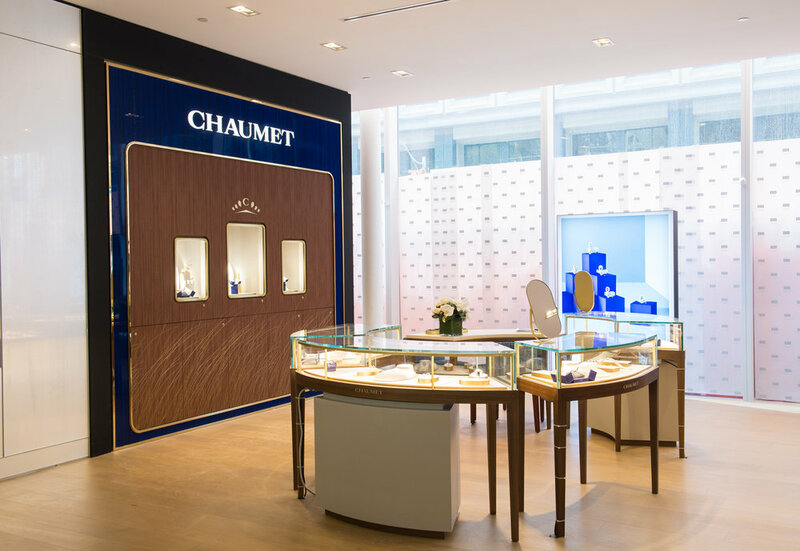 Chaumet and Birks-exclusive Messika are among the top-selling brands at Birks across Canada, according to Mr. Bedos, as is Van Cleef & Arpels and Rolex, the latter which is carried at Birks stores in Montreal, Quebec City and Calgary. Mr. Bedos explained that the Bloor Street store is at “the best retail location in all of Canada,” in an area that is seeing an incredible transformation. Italian food concept Eataly will open in the Manulife Centre in a few months time, with a three-level configuration that will include a Bloor Street entrance next door to Birks’ Van Cleef & Arpels boutique. Across the street from the Manulife Centre is Holt Renfrew’s flagship, which is seeing an overhaul that will include a new facade as well as a collection of leased luxury brand boutiques, with a Saint Laurent concession having its own street-front entrance on Bloor. The entire area, in fact, appears to be under construction. 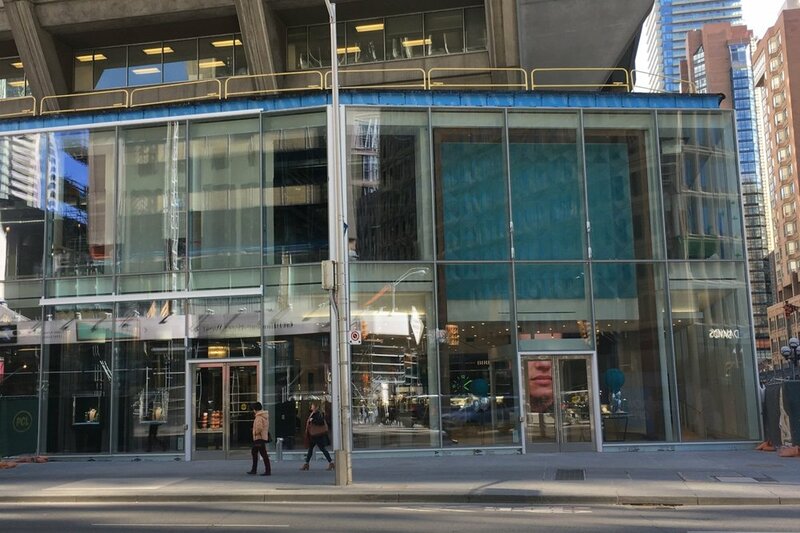 At the corner of Bloor Street and Bay Street, the office towers at 60 and 77 Bloor Street West are seeing renovations, with the 60 Bloor Street tower in the process of getting a new facade, and updated retail space adjacent to Holt Renfrew. Steps east of the Manulife Centre will be a renovated Scotiabank with a new retail space, and at the corner of Bloor and Yonge Streets Apple is said to be opening a three-level 20,000 square foot flagship store at the base of Sam Mizrahi’s ‘The ONE’. Nordstrom Rack opened its Canadian flagship at the base of the 1 Bloor Street East tower complex last spring, and a McEwan grocery store opened several months ago as well. Other exciting retailers coming to the area will include Christian Dior’s largest store in North America, opening at The Colonnade at 131 Bloor Street West in a few months, as well as Brunello Cucinelli, Versace and Stone Island that will open on Yorkville Avenue. Billions of dollars in construction in the area will see thousands of new condominium units built in tall, flashy towers, many many of which will exceed 60-stories in height. The Manulife Centre commercial podium, itself, is seeing an overhaul at a price of well over $100-million. “It’s gone from being one of the ugliest buildings in Canada to one of the most beautiful,” said Mr. Bedos, who said that with all of the new development and luxury brands moving into the area, the Toronto market will be the focus for luxury shopping in Canada. While some streets and malls are seeing declining foot traffic, the positive changes to Toronto’s Bloor-Yorkville is “making shopping fun again” according to Mr. Bedos, who is bullish on the city’s future as a global luxury retail capital. Besides Eataly, the Manulife Centre complex includes a recently renovated Indigo flagship — its interior is finished and its updated glass facade is nearly completed, with construction hoarding set to come down soon. Toronto-based Over the Rainbow Jeans will relocate to the Manulife Centre in a few months, and a new Shoppers Drug Mart store will open on the basement level in part of the retail space that was once occupied by Birks. Ron White Shoes renovated its flagship last year, and other new tenants such as Pilot Coffee Roasters will serve the community when open. 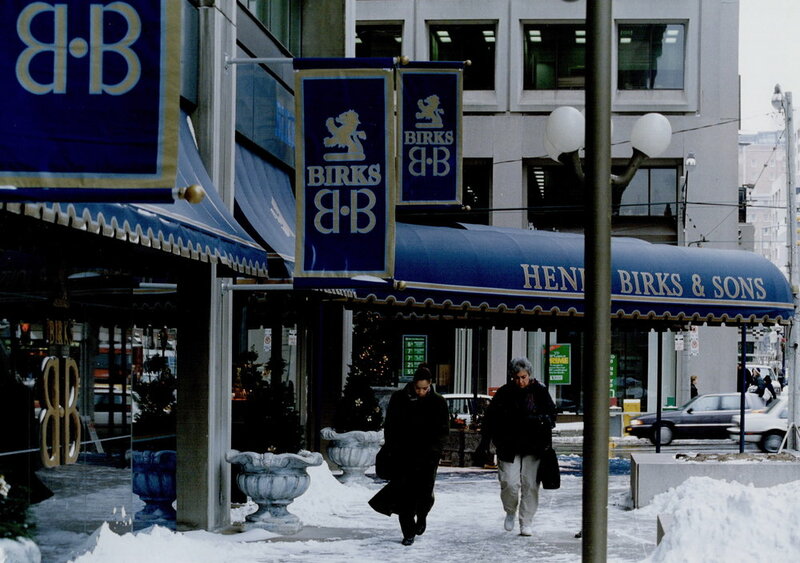 Birks has occupied the conspicuous corner of Bloor Street West and Bay Street since the 1970’s, and archived photos show a once very different Manulife Centre. The complex was once home to women’s luxury department store Creeds, which had an opulent storefront at Bloor and Balmuto streets prior to its bankruptcy in 1991. The former courtyard at the Manulife Centre was filled-in in the 1980’s when Ottawa-based department store chain Brettons opened a large storefront facing onto Bay Street — sales were reportedly terrible and parent company Dylex went bankrupt in the 1990’s. The Indigo flagship and movie theatres occupy the former Brettons location. Looking forward, Mr. Bedos says that Birks will continue to innovate with its store format. The company’s Vancouver flagship at 698 West Hastings Street is next up for a major renovation in 2020, which will result in a 12,000 square foot retail space with similar elements to those in the Toronto and Montreal Birks flagships. Several new brands will be introduced, and the Vancouver store will have some unique elements to be revealed at a later date, made possible by its large size — the entire building, which was once a bank, spans nearly 20,000 square feet in total. The Vancouver flagship will become something of a “lifestyle store” according to Mr. Bedos, with a pop-up Labo area and a library/service area similar to the renovated Bloor Street flagship. 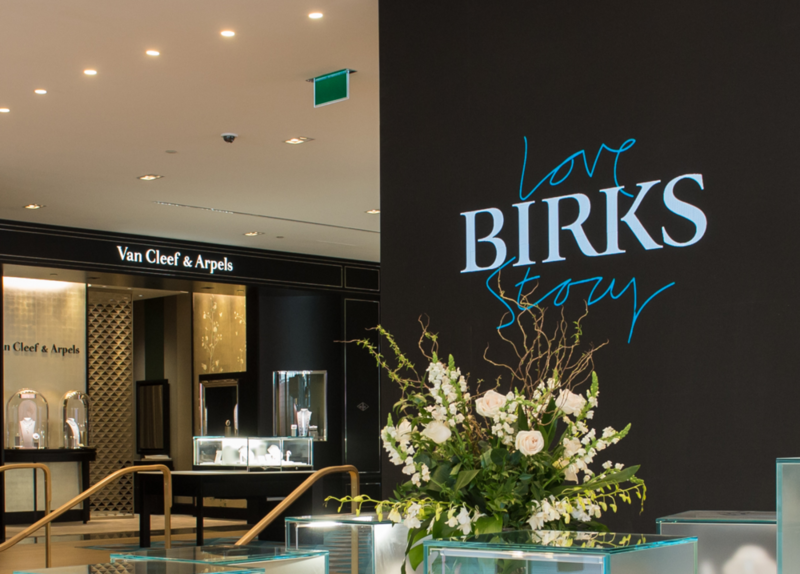 The Vancouver Birks store launched a 1,435 square foot Van Cleef & Arpels boutique with its own street-facing entrance on Granville Street in December of 2017. 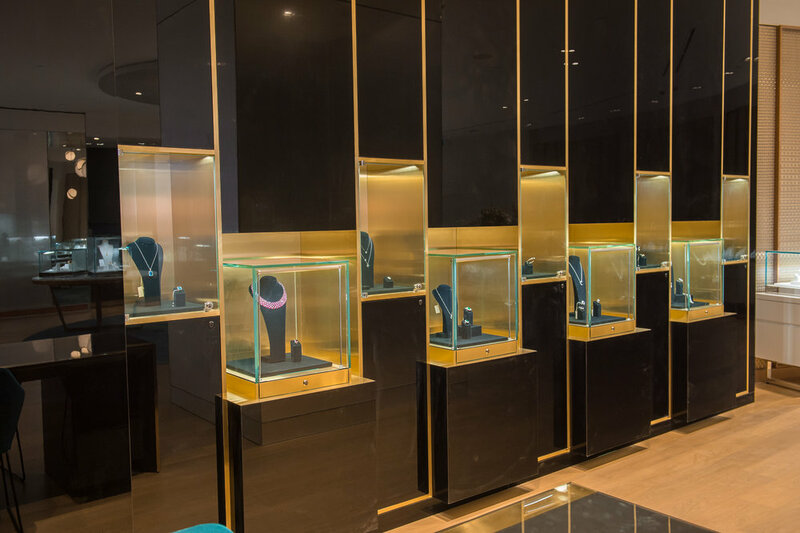 Last month, Birks introduced a shop-in-store for super-premium watch brand Richard Mille in its Vancouver store which will soon feature its own street-facing entrance similar to that of Van Cleef & Arpels. After renovating the Vancouver flagship, Mr. Bedos said that the company would “take a breath” and evaluate its operations. 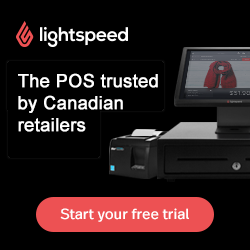 The company has renovated several of its stores over the past couple of years, including a store at Southgate Centre in Edmonton as well as a highly successful store at First Canadian Place in Toronto’s Financial District. Birks operates a network of 24 stores across the country and wholesales its private label product in some mono-brand stores. Birks also operates small-format multi-brand Brinkhaus in Calgary, as well as standalone Graff Diamonds and Patek Philippe boutiques in downtown Vancouver. *Jeff Berkowitz of brokerage Aurora Realty Consultants has the mandate for Maison Birks in Canada. Manulife Centre’s leasing is handled by Beauleigh Retail Leasing Consultants Inc..
*Montreal-based Ædifica designed the space. Construction firm Mavacon was involved with building the updated Manulife Centre Birks store.